A mother desperately waiting for news about the safety of her son who's in harm's way overseas, Susan Sarandon has played this part before...or so I thought. Of course with over a hundred and fifty credits to her name as an actress on IMDb, it’d be safe to assume that the Academy Award winner has played everyone before and – like most women over fifty – more than her fair share of mothers. 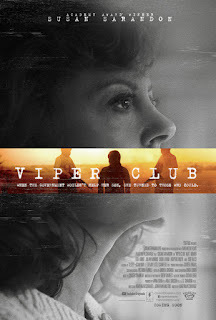 However, unlike her role as a distraught matriarch waiting to learn whether or not her son might have been killed in a war zone in director Robert Allan Ackerman's compelling if admittedly contrived adaptation of Ellyn Bache's novel Safe Passage, Sarandon's performance in Viper Club is – much like the film itself – quieter and more attuned to the struggles of daily life. Attempting to illustrate the impact that our foreign policy decisions can have even on non-military personnel right here in the states, while Safe Passage's lofty ambitions get lost in the theatricality of its translation, Viper Club plays like an intimate docudrama as Sarandon tries to keep up a good front during the most harrowing of times. Having lost touch with her son Andy (Julian Morris) roughly two months ago, hardworking emergency room nurse Helen Sterling (Sarandon) fears she's running out of time and options when she receives a twenty million dollar ransom demand for the freelance video journalist by the terrorists holding him hostage in a war zone overseas. Overworked, over-stressed, and sworn to secrecy by the FBI and the state department – neither of whom speak to one another and instead ask Helen what the other agency had to say when she takes a long bus ride into New York City from Oneonta, New York to check in – as if reading her mind, they warn the determined single mother that it's against the law to pay the ransom. Unable to provide her with any information since it's classified, she's urged to stall by negotiating the price down to an amount they never intend to pay. However, flooded by the roller-coaster of memories she's shared with her equally headstrong son (which come to life in flashback form throughout the film), Helen begins to take matters into her own hands. 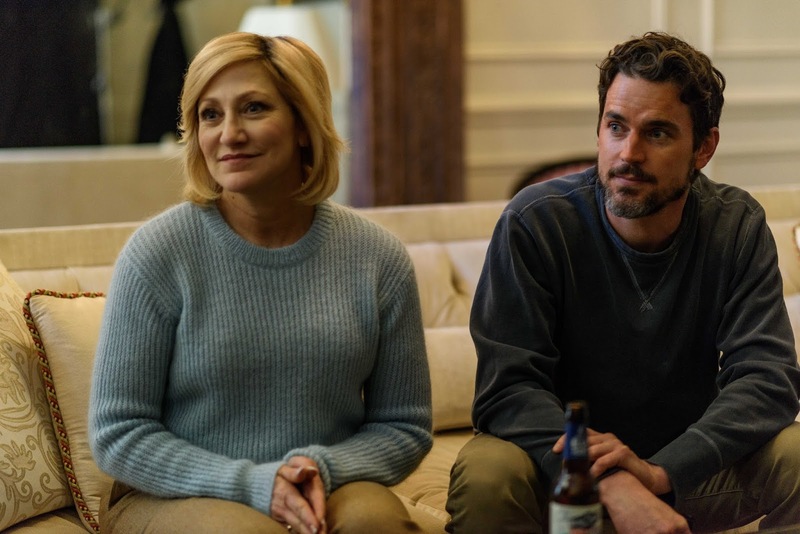 And once her son's girlfriend (Sheila Vand) puts her in touch with friends of Andy's who belong to an international network of journalists, translators, contractors, and donors called the Viper Club – including fellow journalist Sam (Matt Bomer) and a wealthy socialite (played by Edie Falco) whose own son had been ransomed – they team up in an effort to bring her son home. Shot in just twenty days, it's here where the film would've turned into a Taken style thriller if it had been made inside the big budget studio system, complete with a rewrite to give Helen a husband and put him in charge of Andy's fate while she frets at home. Thankfully, screenwriters Jonathan Mastro and Maryam Keshavarz (who also directed) resist the temptation to adhere to genre expectations or cheap theatrics, instead dedicating the film "to international conflict journalists who put themselves in harm's way," in order to bring us the news and made as a "tribute" to those who've lost their lives, as the film's opening credits read. And with the way the current administration labels the media the enemy of the people, Viper was timely even before the horrific murder of Jamal Khashoggi and the IEDs sent to CNN (and others) by a crazed bomber. But given this recent dangerous escalation both here and abroad for journalists (and even in cases that don't involve ransom), award-winning Iranian-American filmmaker Maryam Keshavarz's film has become that much more vital. Made with both real sensitivity and a striking degree of authenticity to the point that it's generated criticism by the mother of murdered journalist James Foley who felt that Keshavarz "took" her story and labeled it fiction, while there are certainly enough parallels to be concerning, without knowing more about what went on behind-the-scenes it's hard to judge in that regard. Shot using a handheld camera to put us in Helen's shoes and stay within her point-of-view, Keshavarz and cinematographer Drew Daniels (using softer 40mm lens often employed by Gordon Willis in the 1970s) keep Helen close to the center of the frame and seldom leave her side for more than a moment. Giving us a window into a personal nightmare with far-reaching implications, the admittedly confusingly named Viper Club is sure to cause debate about not only what you might do in a similar situation but also the need to protect journalists worldwide. At a time in her career where Sarandon is frequently cast as the go-to mom from The Meddler to A Bad Moms Christmas, it's refreshing to see her given the opportunity to sing once again in more than one key opposite a talented cast of veterans and up-and-comers like scene-stealer Amir Malaklou as an uncertain new ER resident. From first shot to last, Sarandon's deft ability to call up a wide range of emotion with a minimum of dialogue drives Keshavarz's haunting picture forward as she stands in for all mothers, holding her head up high while doing everything in her power to try and guarantee her son's safe passage home.